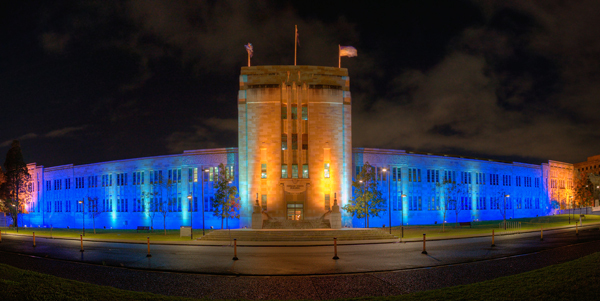 The University of Queensland is located in the Brisbane suburb of St Lucia. If you are arriving in Brisbane via air then there are a number of transport options available for travel between the Airport and the University. Taxi: a Taxi from the airport to the University will cost approximately $50-$60. Train: the Airtrain has stations at both the International and Domestic terminals, and provides services to Brisbane City. From there you will need to catch a connecting bus to the University. 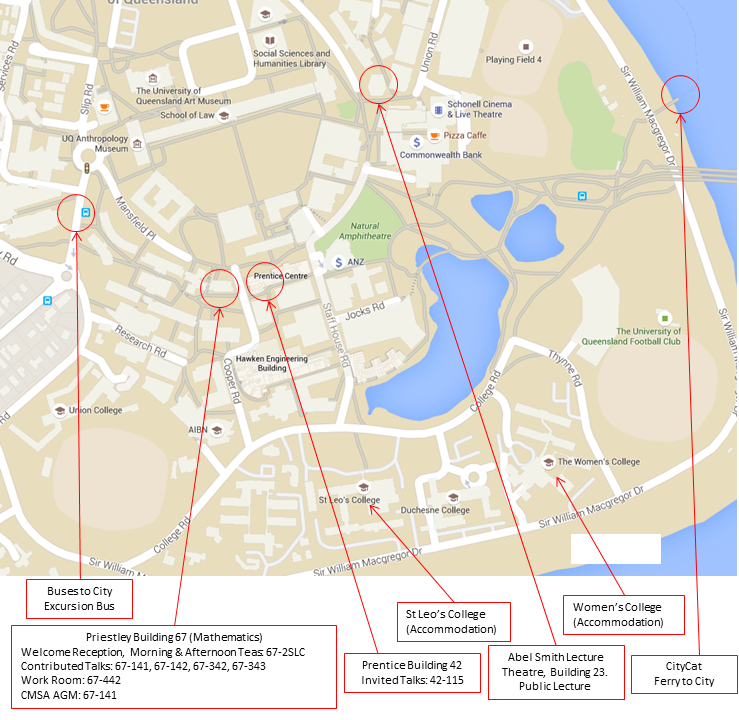 Please see the map below for the locations of conference activities, accommodation, etc. on campus at UQ, and click on this link for further information on local food/drink options, ammenities and UQ facilities/services.